Whether you are designing an airplane part or an after-school program, the design thinking process starts with empathy – knowing your customer/community and seeing from their perspectives. 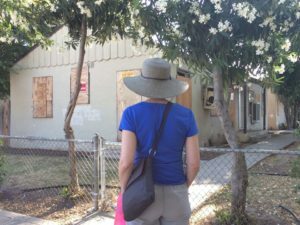 FMW weekly walks are a way to observe Fresno, up close, on foot, and fill your empathy reservoir. 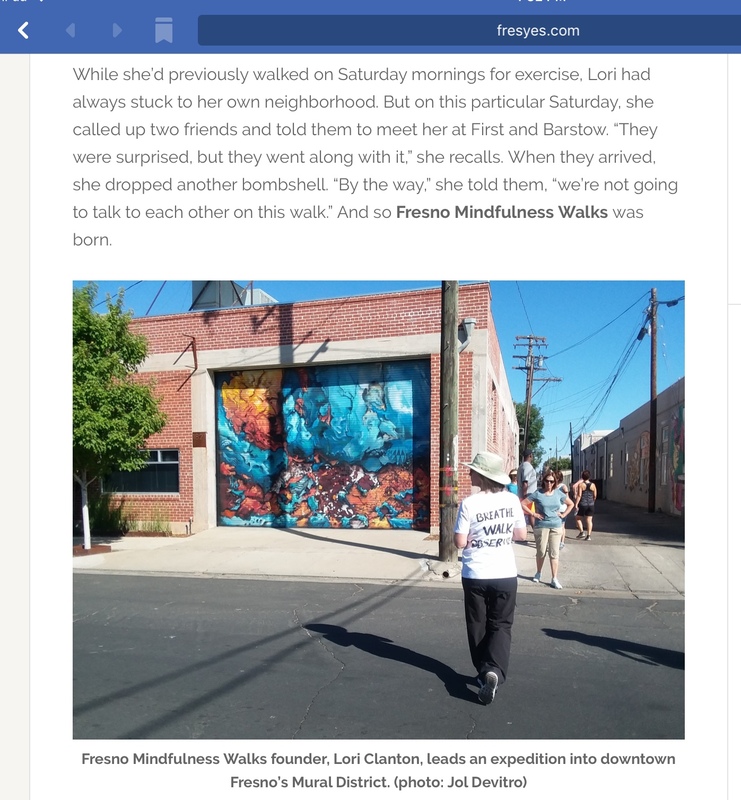 The Design Cycle graphic illustrates a core element of Fresno Mindfulness Walks (FMW), the importance of building our reservoir of empathy. 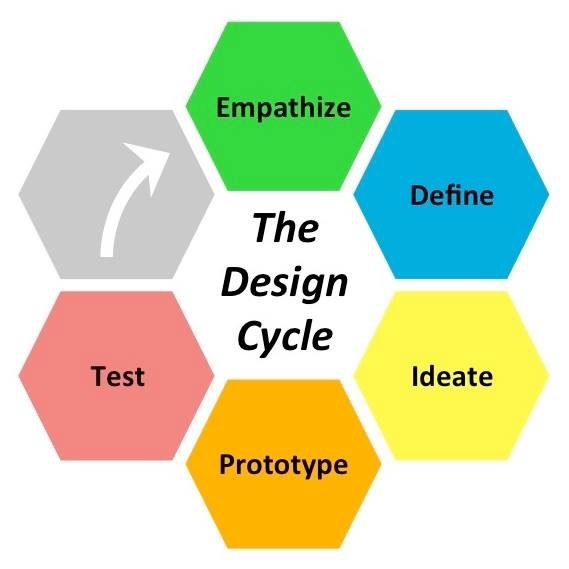 Here’s a sentence from the design thinking methodology, on the first step, empathize. 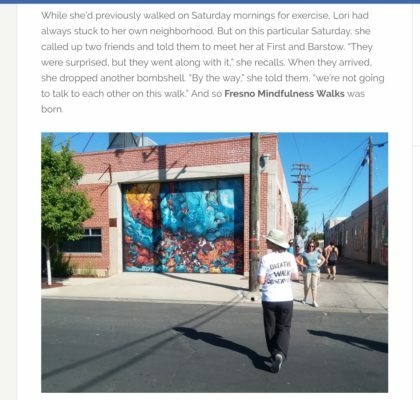 For those wanting to be part of the healing and health of our community or invest time in your own healing and health, weekly mindfulness walks through all of Fresno’s 110 square miles is a great way to start. 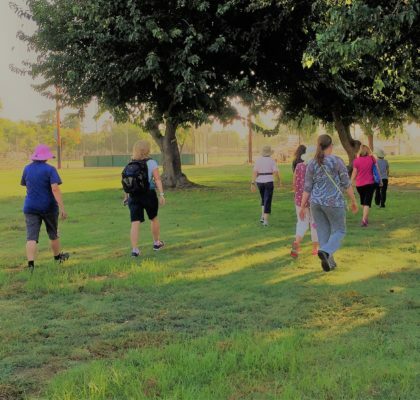 We walk a different neighborhood each week, from Copper River Country Club to Calwa, and from West Fresno’s Victory West Park to the Fresno Airport. 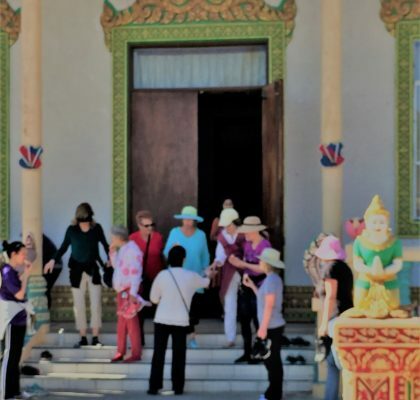 If you’re working on a team – with an organization, department, staff, board members – walking mindfully through a variety of diverse neighborhoods could be your next retreat, all for free and right here in your own town. 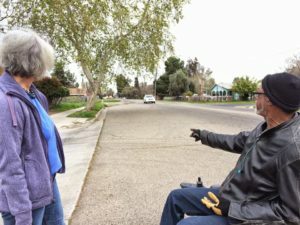 FMWalker, Kathryn, chats with a gentleman about navigating the route from his senior apartment to the grocery store, near Peach and. Kings Canyon. 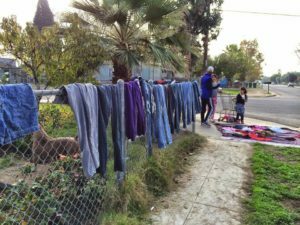 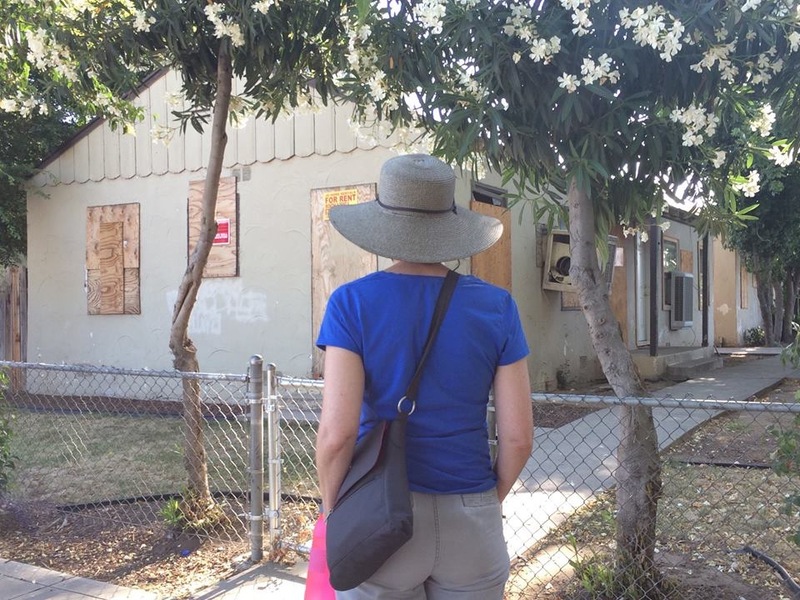 FMWalkers observe boarded up and burned out houses, most frequently in south Fresno neighborhoods, and discuss the impact to feelings of safety and pride on the rest of the neighborhood. FMWalker, Beth, hears from children who are helping their mother with a sidewalk sale, in south Fresno.